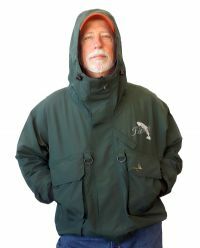 Constructed with waterproof, Teflon coated, breathable Burlington XALT fabric, this jacket sets an industry standard for design, workmanship and value. 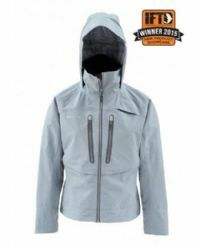 Kiene's packable jacket is very lightweight, Teflon coated, packable, hooded, front Zip, breathable rain jacket. 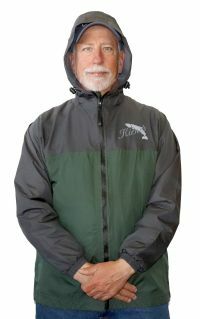 The ultimate wading jacket. 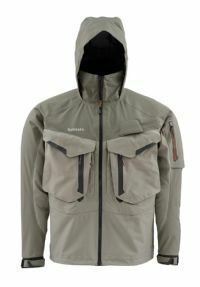 Dress for absolute angling success in Simms’ versatile, stormproof G4 Pro™ Jacket. Your problems may all fade away the second your line hits the water, but the storm around you will rage on. 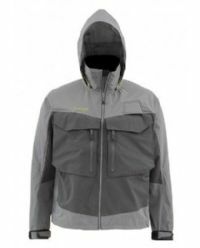 For 2015, the all-new G3 Guide™ Jacket is 25 percent lighter, while ratcheting performance thanks to rugged, rip-stopping 3-layer GORE-TEX® Shell fabric. 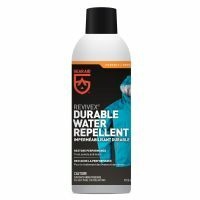 REVIVEX® Water Repellent for Outerwear For GORE-TEX® and WINDSTOPPER® garments and all types of breathable laminates and synthetic fabrics. Wash, Spray & Tumble dry.